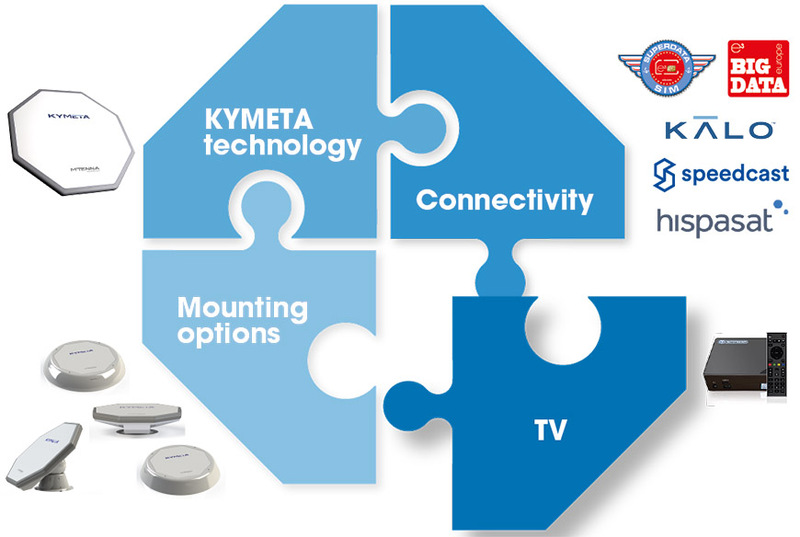 Flat-panel Kymeta™ KyWay™ terminals offer a highly flexible alternative to traditional satellite dishes. Available as a single unit or combined using Kymeta™ mTenna™ PLUS and mTenna™ SELECT. Connectivity options include our 4G data cards, KĀLO, Speedcast and Hispasat, with bandwidth periods from only two hours to multi-year contracts. We offer a number of mounting options including our custom-made horizontal mounts, surface mounts and virtually-invisible flush mounting. Our Bandwidth onDemand airtime solution includes Jetstream IPTV which means you only pay for the bandwidth you use. It provides access to TV channels from many countries and is easily managed via the HYBRID app. outage and more importantly, no input required from the ETO. and the owner has given me the green light to remove all domes. 3 now provides yachts of all sizes with an exceptional alternative to traditional domes. Providing flexible, scalable and adaptable mobile satellite connectivity, our solution also considerably enhances the user experience by combining bandwidth and TV reception into one panel, at a highly competitive cost. Contact us for full details and airtime rates.